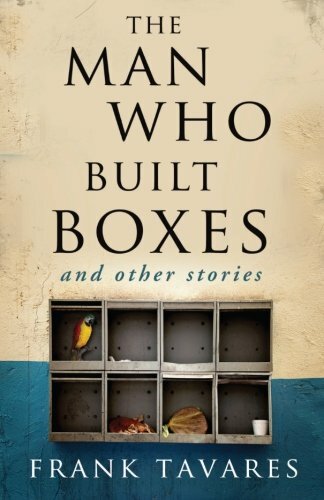 about this book: The stories all reflect the points of view of people trying to make sense of where they are in life. Some of the characters are more curious about how they got there than others, but all are restricted in some way by decisions they've made along their journey. In different ways, they try to take control of their lives, but sometimes are stymied by circumstance, questionable decisions, or inertia. Each story came from a different place. In some cases things I've observed, fragments of conversations I've overheard, or even personal experience. "Accident with a View," for instance starts with an event very close to what I saw while sitting in my car at a traffic light. After I had such a strong visceral reaction to that unexpected moment, my second thought was, "Wow, I don't know how this story ends, but this is how it starts." There are other little moments from my observations of things around me that birthed a character, or a situation, or the ending of a story. "The Neighbors" began germinating several years ago when one December I drove past a yard with enough holiday decorations to attract extra traffic in the neighborhood. Although the yard was fun to see, I wondered what it would be like to live next door, and if a person might be tempted to pull all of the plugs when no one was looking. That's what inspired the first scene of that story, but as I got further into it, yes, the characters revealed themselves in unexpected ways. My primary audience is readers who are curious about others. I think it's as simple as that. With so many different characters across twelve stories, I'm hoping readers can either find some with which to identify, or find some that are just interesting. Or even puzzling—puzzling in an intriguing way. Puzzling in a way that entices them to want to know more.